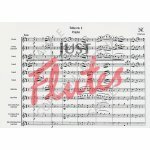 A four movement suite for large flute choir. Scored for PIccolo, optional G treble, 4 flutes, alto flute, bass flute, optional contr'alto, optional contrabass, optional subcontrabass. The first movement is a lively Presto, with passages reminiscent of English folk music, impressive fanfares and baroque style passage work. This is followed by a slower more wistful movement with rich chromatic harmonies. The third movement is slower again, with a florid piccolo solo in the central section accompanied by flowing semiquavers in all parts. The final movement is marked 'Dolente' and features rich jazz harmonies in slow tempo. This is a great piece for large flute choirs to include in their repertoire; the inclusion of the largest members of the flute family gives a depth and richness to the chords that is in credible. Suitable for players of Grade 4 upwards. 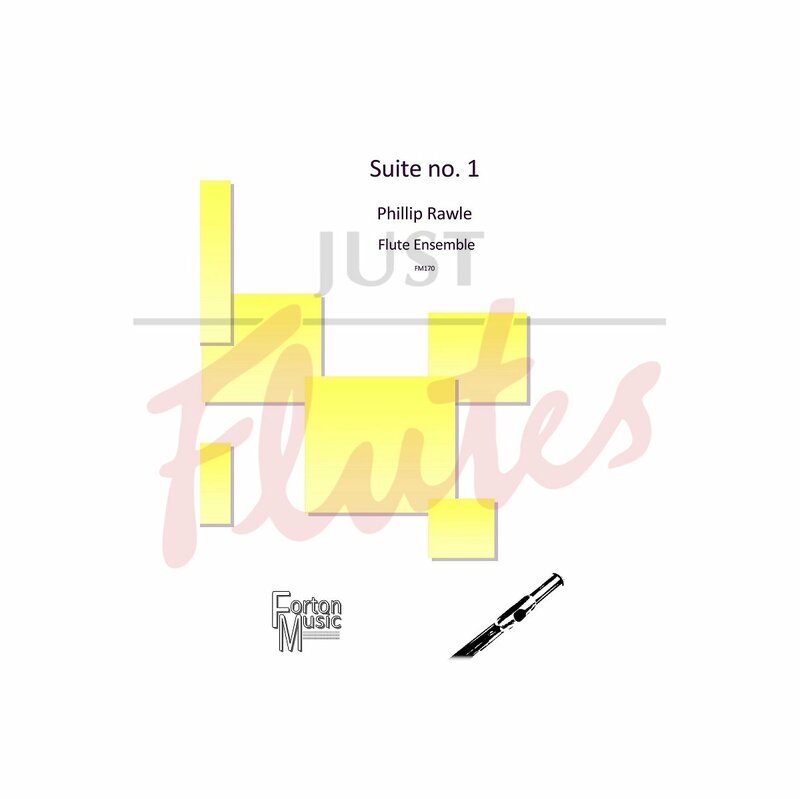 A four movement suite for large flute choir. The first movement is a lively Presto, with passages reminiscent of English folk music, impressive fanfares and baroque style passage work. This is followed by a slower more wistful movement with rich chromatic harmonies. The third movement is slower again, with a florid piccolo solo in the central section accompanied by flowing semiquavers in all parts. The final movement is marked 'Dolente' and features rich jazz harmonies in slow tempo. 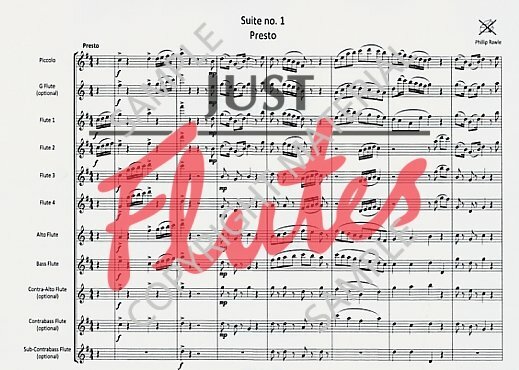 This is a great piece for large flute choirs to include in their repertoire; the inclusion of the largest members of the flute family gives a depth and richness to the chords that is in credible. Suitable for players of Grade 6 upwards.